A+A trade fair in Düsseldof will see the presentation of work footwear with OutDry® technology. OutDry® is the innovative Italian technology for the waterproofing of footwear, gloves, backpacks and protective outdoor clothing. From 17 to 20 October, OutDry® will be participating in A+A, the international fair for health and safety at work, with new products in the sector. OutDry® technology differs from the standard membranes on the market, as it uses a unique, patented lamination process to apply the membrane directly to the inner layer of the product. In this way, OutDry® ensures maximum protection from water and other agents and, simultaneously, excellent breathability. The structure of the OutDry® membrane, heat-sealed directly onto the upper, allows total insulation from water, and perfectly seals seams. 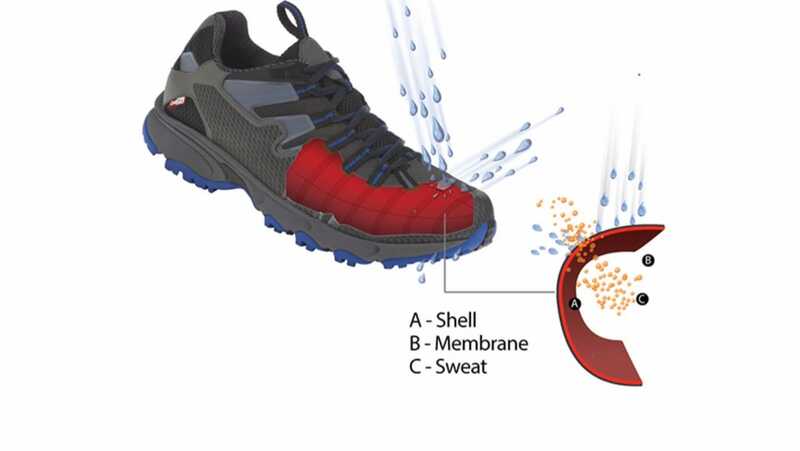 In this way the waterproof barrier is moved from the inner lining to the outer, with the result that not only do the feet remain dry, but water stays entirely on the outside of the shoe, preventing unpleasant feelings of dampness. Furthermore, the complete absence of seam-sealing tape gives the surface of the shoe 100% breathability. The application of this technology is particularly effective in several sectors. Various firms in the safety sector have adopted OutDry® technology for their footwear collections, choosing a solution that can enhance foot comfort during working hours.